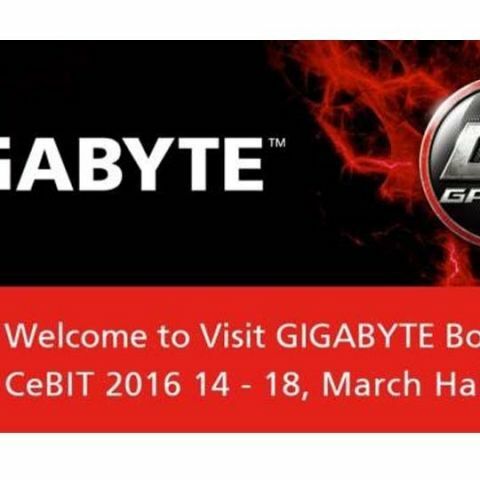 GIGABYTE will be showcasing GIGABYTE Z170 Chipset Motherboards, High-End Desktop (HEDT) Motherboards and the latest BRIX Products at CeBIT 2016, in Hall 15, Booth# D20 on March 14. During the exhibit, GIGABYTE will be showcasing its G1™Gaming Series based on the Intel® Z170 chipset: the Z170X-Gaming G1, Z170X-Gaming 7, Z170X-Gaming 5 and Z170X-Gaming 3. Along with these gaming motherboards, other High-End Desktop Motherboards and it's BRIX Mini-PCs shall be also on the display. In addition, GIGABYTE invites all of our valued channel customers to attend an open seminar on March 14th at 3:00 PM to 4:30 PM local time, first day of CeBIT 2016, in Room 17 of the Conference Center at theHannover Messe. 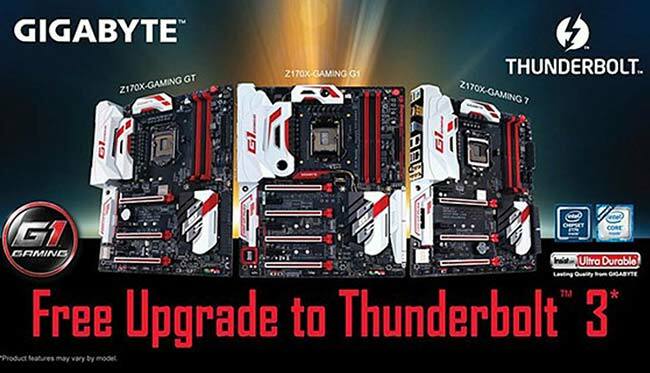 During the exhibit, GIGABYTE will be showcasing a number of boards in its G1™Gaming Series based on the Intel® Z170 chipset: the Z170X-Gaming G1, Z170X-Gaming 7, Z170X-Gaming 5 and Z170X-Gaming 3. 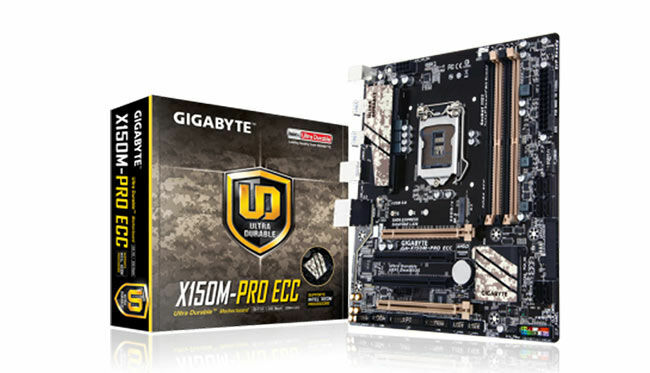 These boards are targeted at gamers with the exclusive unique GIGABYTE technologies such as, One Piece PCIe Metal Shielding, AMP-UP Audio, Killer™ Networking and Turbo B-Clock. Select boards even support USB 3.1 with the new Type-C™ connector, IntelThunderbolt™ 3 through the use of the official Intel Thunderbolt Controller. HEDT motherboards bring support for the Intel Xeon® E3-1200 v5 Processors and ECC DDR4 Memory. This Professional class motherboard is perfect for content creators who specialize in Photography, Designing, Video Streaming and more. It has features that are perfect for creative artists that require the latest connectivity, with support for PCIe Gen.3 x4 M.2 connectors users are able to reach transfer speeds of up to 32 Gb/s. The utilization of the new Intel 750 NVMe is a perfect example of this technology which improves transfer speeds by 4x that of traditional Solid-State Drives (SSDs).Moreover, with designers and graphics artists requiring an increasingly faster GPU for rendering, GIGABYTE has qualified Nvidia® Quadro® Cards on our Approved Vendor List (AVL) through strenuous testing procedures. 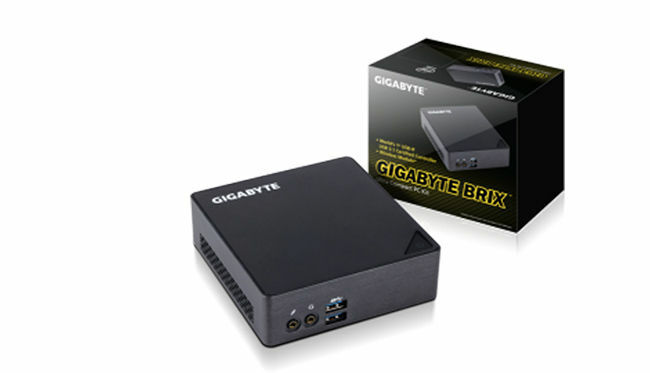 GIGABYTE’s BRIX has been turning heads ever since it entered the barebone Mini-PC market, and now with the Intel 6th Generation Core™ Processors it’s doing so once again. With such a small footprint the BRIX is the epitome of innovation for the PC Industry. With multiple USB3.0 ports and video connectivity via mini DisplayPort and HDMI the BRIX is perfect for digital signage, a desktop alternative and even as a home theater PC (HTPC). On display at CeBIT there will be the GB-BSi5T-6200 and GB-BSi5A-6200 featuring a USB Type-C connector as well as the GB-BACE-3000 and GB-BACE-3150 which support a fanless design.